It’s a lot of fun meeting other moms who want to be green while raising their families. But it’s not always easy. Life can keep you pretty busy. 1. Search for green mom blogs on Google. 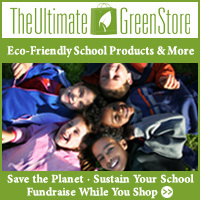 There are tons of green mom blogs out there, such as Green and Natural Mom Blog, Organic Mania, and Green and Clean Mom. Oh, and Green Stay at Home Mom of course, but you’re here already. 2. Join Twitter and look for other green moms. If you know they’re members and know their name, you can search that way. Once you are following some people, you can follow Mr. Tweet and get suggestions from him or join Twitter Moms and find people who are in the environmental groups. Various green sites also have forums where you can discuss the environment. Some are mom focused, while others are more generally environmentally focused. Try the Hippymom forum or the TreeHugger forum for more general environmental discussions. 4. Green mom Facebook groups. Search Facebook with the term “green moms” and you’ll come up with a variety of groups to choose from. Most are pretty small, but that’s not always a bad thing. Just be careful if you don’t want to always have people selling to you. Many people take the opportunity to talk about their products.